The United States Geographical Service (USGS) Hydrological Instrumentation Facility (HIF) analyzed the costs and accuracy of wading, point-velocity discharge measurement technologies and equipment. 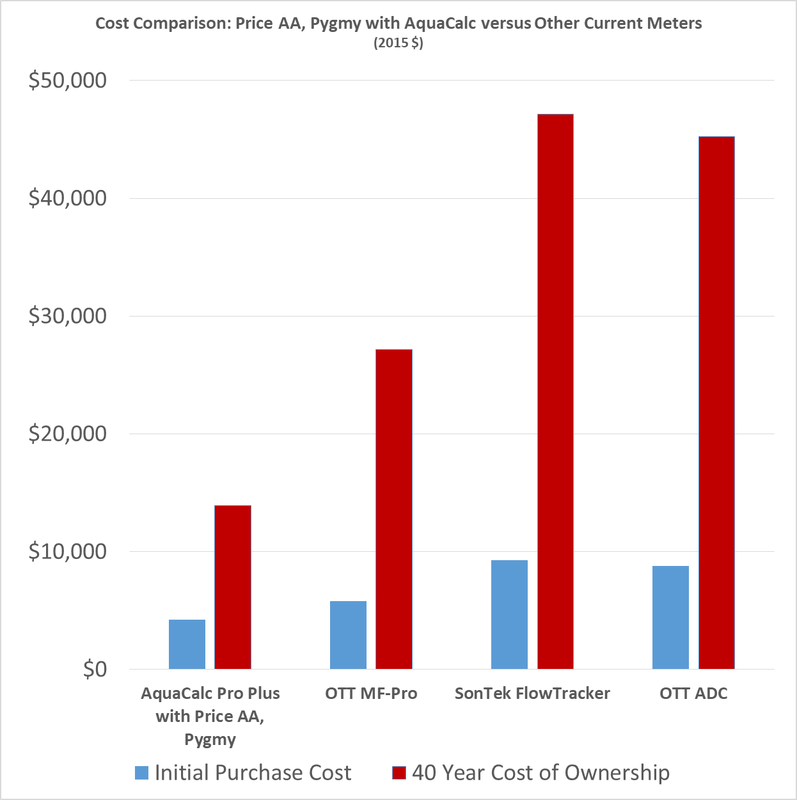 They concluded that over the 40 year life of a hydrographer, the cost of an AquaCalc used with a Pygmy and Price current meters is up to five times less than other technologies with comparable accuracy. 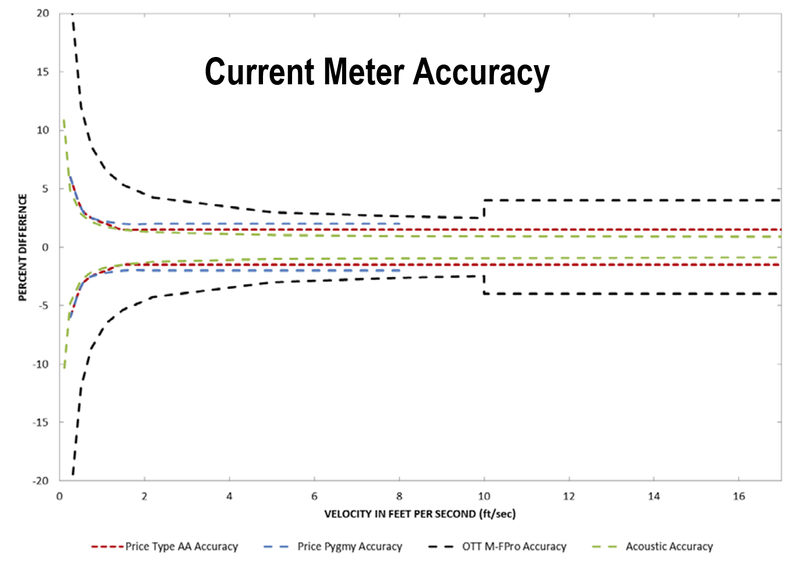 The following chart, taken directly from the HIF analysis, shows the error band for each technology, with the observed velocity versus the actual velocity over a range of velocities. Above 1 cfs, the AquaCalc with the Pygmy current meter and the Price AA is within about 2% of actual velocity and within 1% of acoustic technologies throughout the entire range.